Currently pending a grant application. A pilot study recruiting 10 patients in 18 months has showed the study is feasible and safe. A third grant application will be proposed once more after positive feedback from Cancer Australia. The 2018 MRFF and Cancer Australia applications were not successful. Cancer Australia strongly encouraged Prof Aghmesheh to resubmit in 2019. BALLAD: A trial to evaluate the potential benefit of adjuvant chemotherapy for small bowel adenocarcinoma (IRCI-002). The study investigates whether adjuvant therapy works as well in the rare cancer setting as it does in colon cancer, an area with currently no data available. The feasibility survey raised questions around the recruitment likelihood amongst sites, noting it would not recruit well in Australia. It was noted that the study be approved in principle and that further work be done on confirming which sites would definitely proceed and what funding could be obtained. The BALLAD study is currently not supported by the Scientific Advisory Committee due to minimal feasibility feedback. 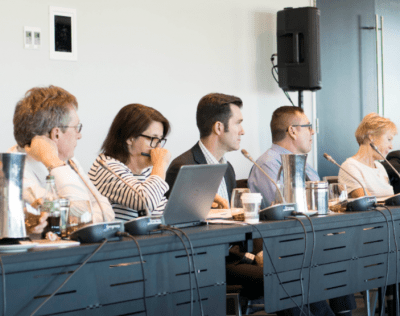 The SAC agreed that a rare cancer trial model needs to be explored demonstrating the types of studies that AGITG could consider for development. Originally presented at the AGITG 2018 ASM, the concept is a Phase II single-arm trial of metformin as an adjunct to neoadjuvant chemoradiation therapy in patients with oesophageal adenocarcinoma who are suitable for multi-modal treatment. The relationship between Metformin and non-diabetic patients raised concerns due to the overlap of toxicities. Overall support was expressed for the study, however highlighting the need for a standardised protocol. The concept is a Phase II study of 40 – 60 patients in first line cholangiocarcinoma. The primary endpoint is response. Following further review of the protocol and development of the concept in January, the study is invited submission to Merck Sharp and Dohme in March.